2011 to 2015 marks the 150th anniversary of the American Civil War. At the society, we are commemorating this pivotal moment in the history of the United States. Drawing from the collections entrusted to our care, we bring to light Presbyterian struggles and triumphs in the War Between the States. Originally on view in Philadelphia from June 2011 through January 2012, the exhibit Presbyterians and the Civil War: Witnesses to a Great Moral Earthquake is now available online. 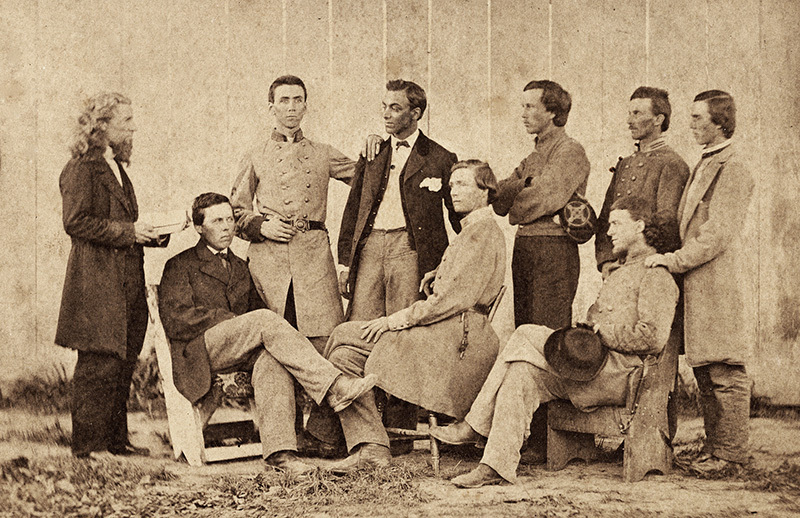 Our related traveling exhibit highlights the work of chaplains, ladies aid workers, and field agents caring for Confederate and Union soldiers during the war. Lecture: "The Civil War, the Churches, and the Terrible Swift Sword"
A lecture by Princeton Theological Seminary's Mary McIntosh Bridge professor of American church history, Dr. James Moorhead. 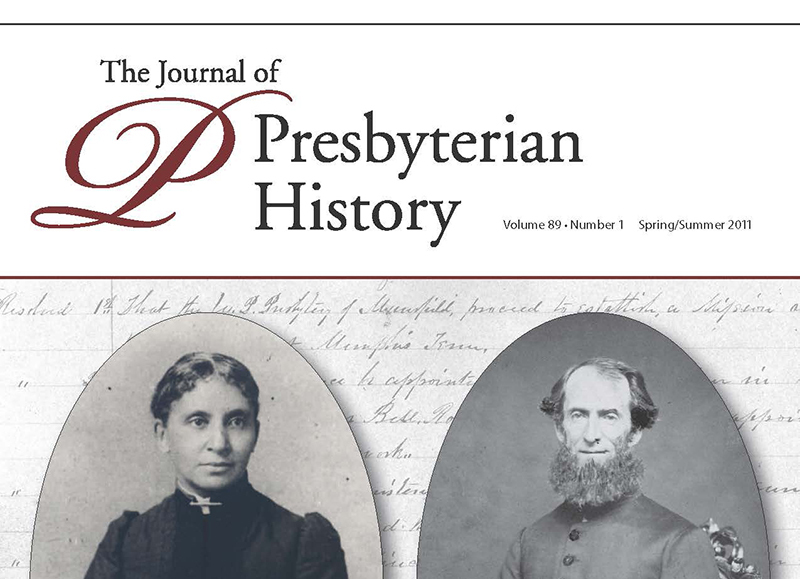 The Spring/Summer 2011 Issue of the Journal of Presbyterian History is a special issue devoted to Presbyterians and the Civil War. 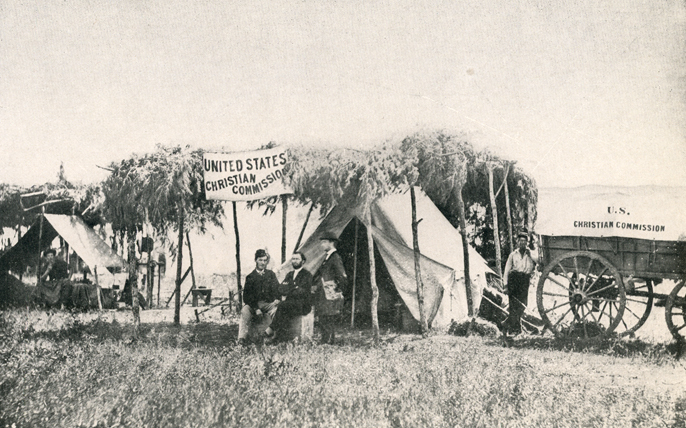 This article from the June 1959 issue of the Journal by Alvin Duane Smith discusses and excerpts from James Russell Miller's Civil War diaries, kept while he worked as a field agent for the United States Christian Commission. James Russell Miller (1840-1912) was a Presbyterian pastor and popular author of devotional books. 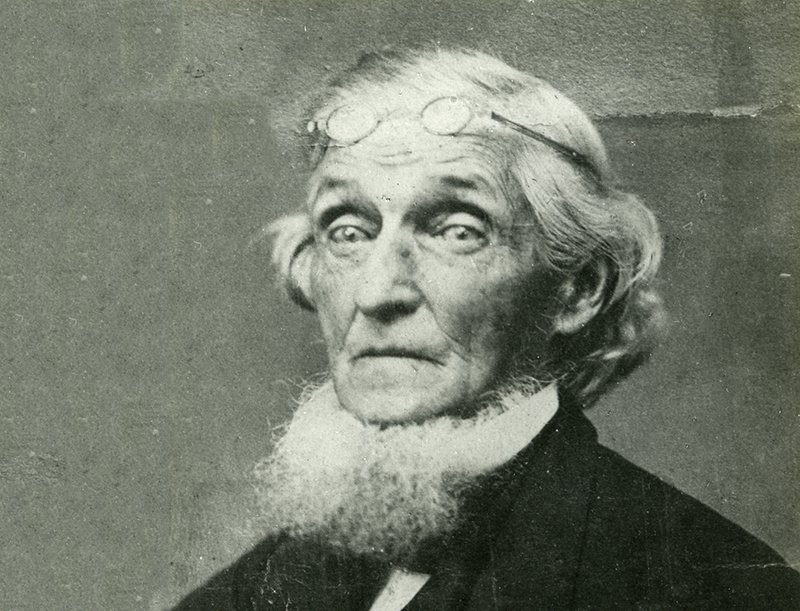 This article from the Fall 1974 issue of the Journal by Arnold Shankman discusses The Christian Observer, a religious newspaper founded by Amasa Converse (1795-1872) in 1840 was owned and operated by four generations of the Converse family.